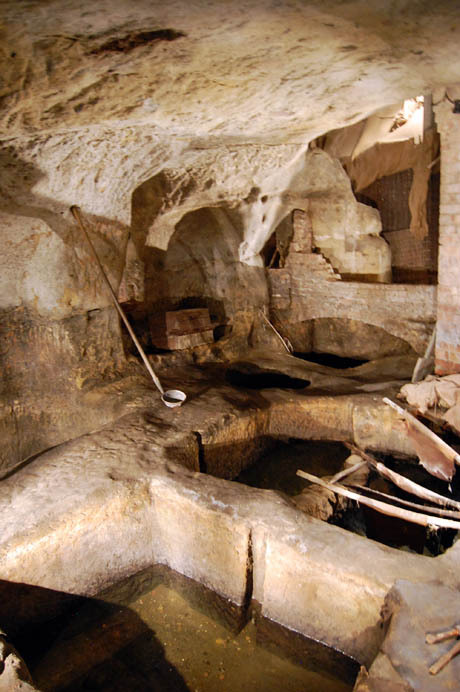 Underneath the pubs, shops, houses, and office buildings of Nottingham lie more than five hundred man-made caves, carved into the city’s soft sandstone bedrock over a thousand years, and now largely abandoned and forgotten. IMAGE: Geoff Manaugh, Ellis and Mark Smout, and David Strange-Walker exploring a former sand mine cave. Photo by Nicola Twilley. Last week, BLDGBLOG, Mark Smout of Smout Allen, and I were lucky enough to visit some of them in the company of David Strange-Walker, an archaeologist whose pioneering Nottingham Caves Survey is mapping and 3D-scanning all five hundred, as the first step in an even more ambitious caves regeneration initiative that aims to reconnect the city with its subterranean heritage, as well as bring this unique architectural feature to international attention. IMAGE: A tannery cave, open to the public as part of the City of Caves experience. Photo by Nicola Twilley. Over the course of the afternoon, we visited all sorts of caves: cemetery catacombs, former sand mines turned into air raid shelters, tunnels, prisons, and a tannery. However, although we couldn’t visit it, I was most excited to hear about David’s favourite cave: a virtually intact medieval malting cave beneath a nightclub in the Lace Market district. 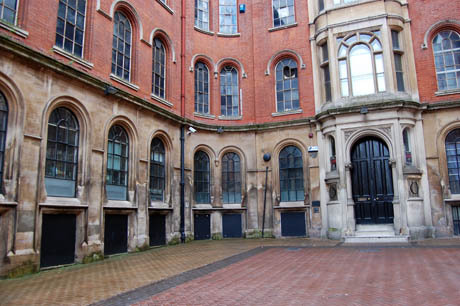 IMAGE: The exterior of Propaganda nightclub in Plumptre House, under which lies David Strange-Walker’s favourite cave. Photo by Nicola Twilley. 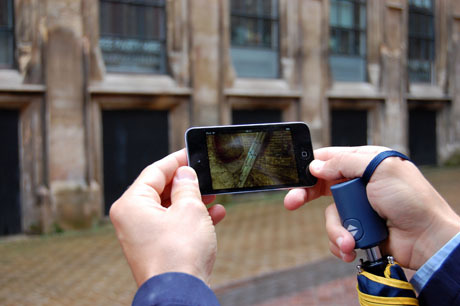 IMAGE: Geoff Manaugh tries out David’s beta iPhone app to see the malt kiln cave beneath Propaganda. Photo by Nicola Twilley. VIDEO: Flythrough of the medieval malting caves beneath Propaganda nightclub, by the Nottingham Caves Survey. Malting is the process by which barley is germinated and dried, in order to prepare it for the next stage in beer-making: fermentation. There are nearly thirty malting caves under Nottingham, each with a well and soaking vat of some sort, a larger germination room, on whose sloping floor the wet barley would be spread and allowed to sprout, and a roughly spherical kiln room, in which the grain was roasted. 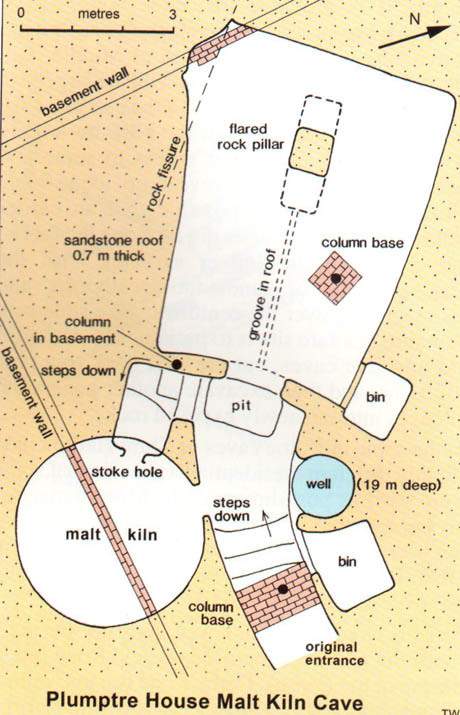 IMAGE: Plan view of the malt kiln cave “found beneath the site of Plumptre House in 1991” (now Propaganda nightclub) by Tony Waltham, from Sandstone Caves of Nottingham. IMAGE: Panorama of the Plumptre House malt kiln caves, via the Nottingham Caves Survey. Unlike today’s beer, which also contains hops, medieval ale consisted solely of water, yeast, and malt. And, according to David, Nottingham’s cave-based maltings gave the city an important advantage in the ale brewing industry: they were fireproof, as opposed to the timber-framed malthouses found elsewhere in the British Isles; and, most importantly, they maintained a relatively consistent temperature, which meant that malting could go on all year round and wasn’t limited to the traditional October to May season. Culinary historian Peter Brears agrees, telling local website This is Nottingham that the city had “one of the greatest concentrations of urban malt kilns,” trading its surplus — with Cheshire, for example, for salt — and brewing the rest for local consumption. 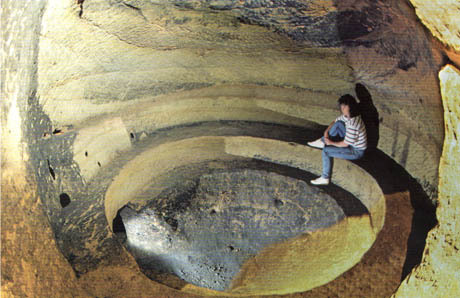 The consistent cool temperature of the caves also made them ideal for storing beer and wine. 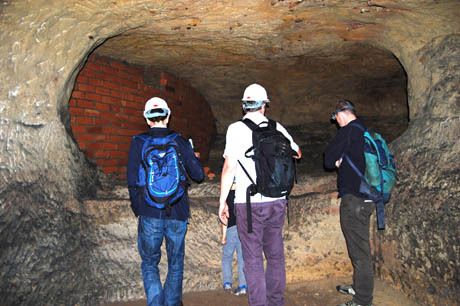 In his pamphlet, Sandstone Caves of Nottingham, geologist Tony Waltham notes that “in the centre of Nottingham, the number of pub cellar caves almost matches the number of pubs,” although most are now disused. 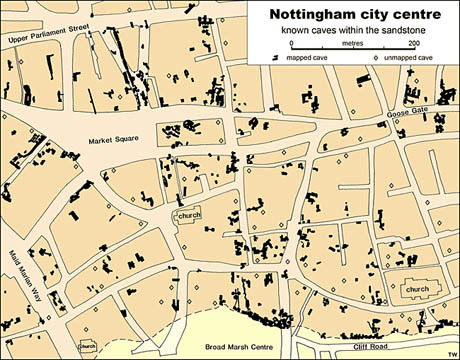 IMAGE: Maps of the known caves under Nottingham’s city centre by Tony Waltham, from Sandstone Caves of Nottingham. IMAGE: 1934 photo of beer stored in sandstone caves underneath the Elephant & Castle Inn in Nottingham; by G. F. Campion and via the North East Midland Photographic Record. We did have the chance to visit an abandoned cellar cave, under the Old Angel Inn, and see the thralls, or ledges, on which the barrels would have been stored and the shaft of the now bricked-up barrel hoist, as well as two rather disgusting air raid shelter-era toilets. 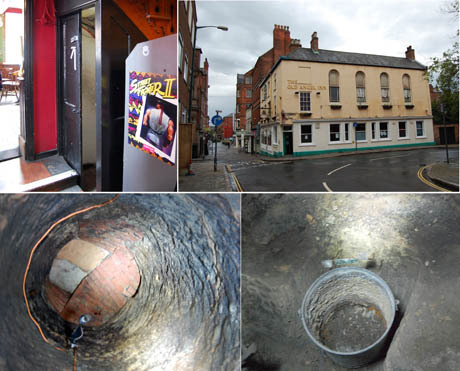 IMAGE: Photos of the Old Angel Inn by Nicola Twilley: cellar entrance; exterior; looking up the bricked-up barrel hoist; and down into the air-raid era toilet. 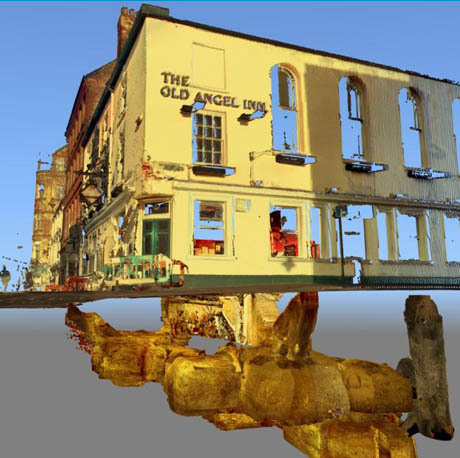 IMAGE: 3D scan of the Old Angel Inn caves by the Nottingham Caves Survey. 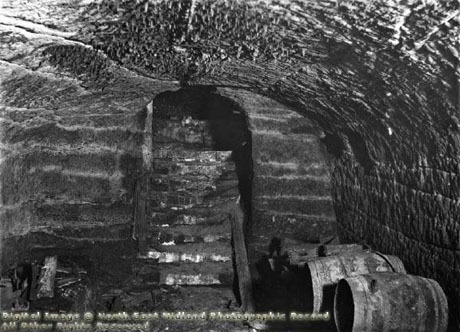 Frequently, the cellar caves were also used for drinking — David mentioned that domestic wine caves often had a “gentleman’s lounge” area, and Tony Waltham writes that “travellers of the 17th century recorded Nottingham’s fame for its good ale, which was available for drinking in cave cellars.” Several of the city’s pubs still offer a cave-drinking experience, even if the beer is not stored there anymore. Indeed, at the end of our afternoon underground, we enjoyed a refreshing pint and dinner in the cave bar of The Hand & Heart. 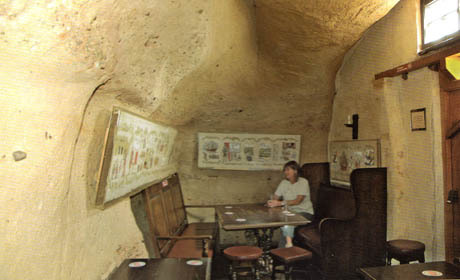 IMAGE: The Upper Cave Bar at the Trip to Jerusalem pub, from Tony Waltham’s Sandstone Caves of Nottingham. But, in an era of beer archaeology, when speculative brews based on biomolecular analysis of ancient Mesoamerican pottery can regularly be found on supermarket shelves, an intact medieval malting in an urban cave seems like too good an opportunity to waste. And, as a recent article in The New York Times reports, microbrewers are increasingly looking to source grain from boutique maltsters, leading to a revival of the ancient craft. IMAGE: The malting cave underneath Propaganda nightclub by the Nottingham Caves Survey. IMAGE: A malt kiln in a cave complex under Castle Gate. The person is sitting on the ledge on which the roasting platform rested; the fire burned underneath, fed by the stoke hole on the left. Photo from Tony Waltham’s Sandstone Caves of Nottingham. With the help of a crack team — perhaps Patrick McGovern, Warminster Maltings, and Brew Dog — you could source local grain, malt it in the medieval kiln underneath Propaganda nightclub, and then cellar and consume the results in your local pub cave, in order to truly capture Nottingham’s subterranean terroir. I hope somebody does — I’d love to taste the results. NOTE: A huge thanks to David Strange-Walker of the Nottingham Caves Survey for the fantastic tour, to Mark Smout, who chauffered us up to Nottingham and back, to everyone who let us into their caves, and to Geoff Manaugh, who set up the visit and will no doubt be writing it up in full on BLDGBLOG shortly. 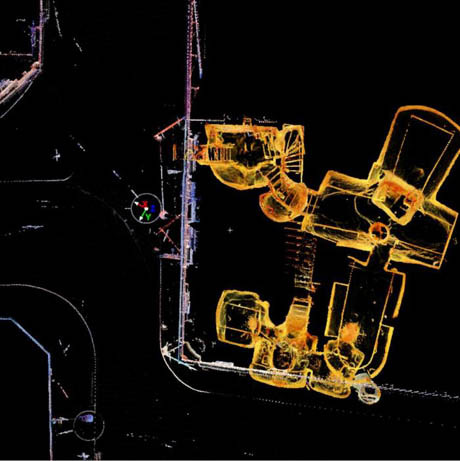 Previously on Edible Geography: Archaeo-Alcohology, Bronx Beer Caves, and Brooklyn Bridge Champagne.